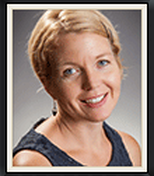 Holly Dygert is an ethnographer and educator with expertise in community health, sexual and reproductive health, gender and economic development, conditional cash transfer (CCT) programs, indigeneity, and youth. Dygert has conducted over twenty months of ethnographic research among Nuu Savi ("Mixtec") villagers in southern Mexico, and multiple shorter community-based projects in the United States. Dygert teaches courses on Basic Field Research Methods; Global Health; Economic Development; Human Rights; and Sexual and Reproductive Health.